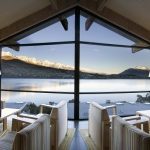 The Rees Hotel Queenstown has been named ‘New Zealand’s Best Ski Hotel 2018’ at the World Ski Awards held in Kitzbühel, Austria on Saturday night. The Rees was chosen from a shortlist of seven high-profile New Zealand properties, winning for the third year in a row. This completes another exceptional year for The Rees with the Hotel winning the international ‘Skål Sustainable Tourism Award’ for Urban Accommodation, the HM Award for ‘Best New Zealand Hotel’ and the ‘Qualmark 5 Star Hotel and Gold Tourism Business Sustainability Award’. Established 6 years ago, The World Ski Awards are ski tourism’s highest accolade, recognising the crème de la crème within the ski industry worldwide. The awards are voted on by leading ski industry professionals and hundreds of thousands of ski consumers across the globe across a variety of ski industry categories from tour operators to accommodation. The Rees Hotel Queenstown is conveniently close to four superb ski fields; Coronet Peak, The Remarkables, Treble Cone and Cardrona which offer skiers and snowboarders an abundance of terrain for all ages and abilities. The Hotel’s facilities for skiers and boarders include a complimentary all-inclusive ski concierge who can organise ski or snowboard packages and gear hire (to await guests on arrival), luxury vehicle transfers to the ski fields, private or group lessons and secure on-site ski lockers and exclusive heli-ski experiences and packages are also available to guests of The Rees as the perfect way to experience New Zealand’s breathtaking Southern Alps. The Rees is an exceptional destination for Après ski and renowned executive chef Ben Batterbury creates mouthwatering winter menus from local ingredients in the Hotel’s award-winning restaurant True South Dining Room. Guests warm up in front of the fireplace and sip their choice of fine wine from The Rees’ world-class wine collection in the Bordeau Wine Lounge. The Rees has also recently achieved 2 Stars in The World of Fine Wine’s World’s Best Wine Lists 2018 for the third consecutive year. Other available activities include the Hotel’s bike hire, jet-boating directly from The Rees’ private wharf or relaxation therapies with in-room spa treatments. The Rees Hotel Queenstown is a luxurious five-star Hotel located on the shores of Lake Wakatipu in New Zealand. It offers spacious and sophisticated accommodation including 90 apartments, 60 Hotel rooms, and 5 three-bedroom, 3.5 bathroom Lakeside Residences, all boasting terraces with stunning panoramic lakeside and mountain views. 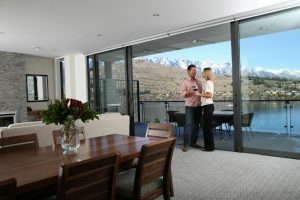 The Rees’ award-winning accommodation, ski concierge service and fine dining make it the ideal choice for skiers and snowboarders heading to Queenstown, New Zealand in winter. Examples of winter packages on offer can be found here with more to come as winter draws closer.